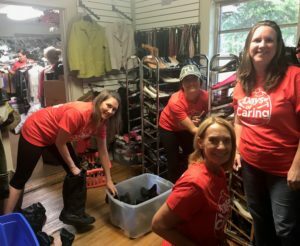 More than 175 volunteers took the opportunity to roll up their sleeves and work together Sept. 22-25 to make an impact in our community during the seventh annual United Way of Central Carolinas Mooresville-Lake Norman Days of Caring. The multi-day volunteer event encourages residents, companies, schools, churches and civic groups to complete service projects for local nonprofits and neighbors in need and connect with the community, including areas that may be unfamiliar. Days of Caring also serves as part of the launch for United Way’s campaign season and kicked off Sept. 22 with a family friendly volunteer activity and breakfast at Cornelius Elementary. After breakfast some volunteers stayed at the school to complete hands-on projects like assembling snack packs, creating bookworm buddies and sprucing up the grounds, while other volunteers headed out to nearly a dozen different community projects. 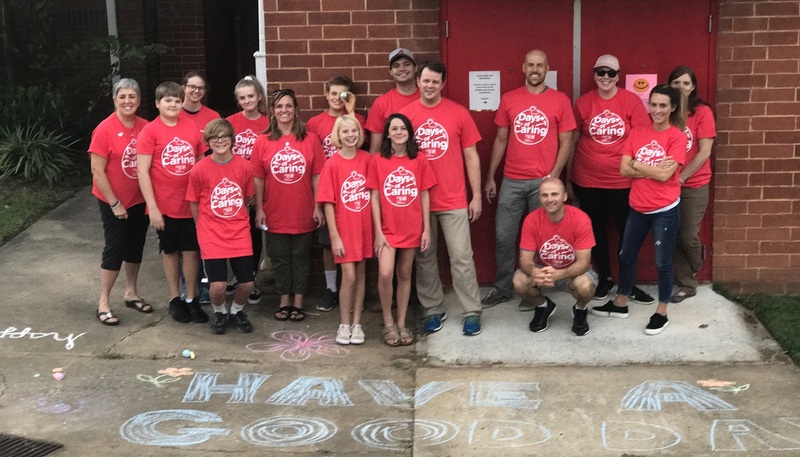 Nearly a dozen different projects were completed across the Mooresville-Lake Norman area by individual volunteers and teams from Davidson College, NGK Ceramics USA Inc., Niagara Bottling LLC, New Hope Lutheran Church, Caterpillar Ministries and others. 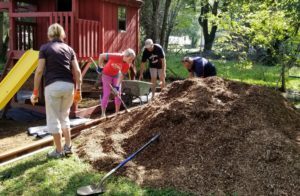 Engagement and service opportunities included grounds beautification and indoor tasks at Davidson Community Garden, Rocky River Elementary, Lydia’s Loft and Mooresville Soup Kitchen. Volunteers also assisted with projects benefiting United Way partners including Mooresville/Lake Norman Christian Mission, Our Towns Habitat for Humanity and LIFESPAN. United Way has 15 community partners in Mooresville-Lake Norman focused on improving the education, health and financial stability of every person in the community. These organizations rely heavily on volunteer support to accomplish their missions. While sorting donations at a local nonprofit or pulling up weeds in a garden may seem simple, these acts by volunteers go a long way in strengthening and uniting our community every day. View more photos of this year’s Mooresville-Lake Norman Days of Caring here.